My goals as Chief Medical Officer are to take best practices and clinical programs, that improve the lives of both physicians and patients, and make them widely and easily accessible - and then use our data to be able to measure our successes. 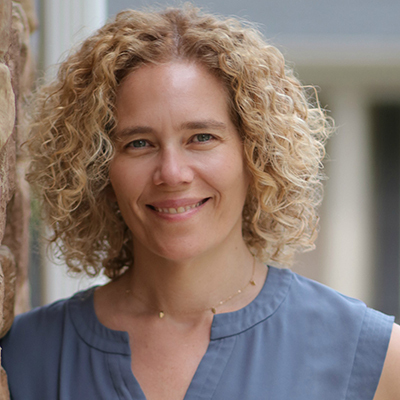 Dr. Anna Loengard trained in internal medicine at Beth Israel Deaconess Medical Center at Harvard University and completed a geriatrics fellowship at the University of Arizona. After training she returned to her native New York City and joined the Department of Geriatrics at Mount Sinai Medical Center. There she focused on Palliative care and home-based primary care for the frailest elderly. In 2007, she founded Successful Caring, a company designed to educate caregivers to better navigate our fractured healthcare system. She and her family moved to Hawaii in 2009, where she became medical director for St. Francis Hospice. In 2011 she was named chief medical officer for St. Francis Healthcare System, where she focused on hospice, home health and the design of their geriatric-focused campus in Honolulu. In November 2014 she joined the Queen’s Clinically Integrated Physician Network, Hawaii’s largest statewide CIN, as their first Chief Medical Officer, adding overall administrative leadership as Executive Director in January 2016. In these roles she successfully led 300 primary care physicians and over 800 specialists in a pay for quality contract with the state’s dominant payer, HMSA (blue cross/blue shield). With 200,000 commercial lives under contract, she built complex care coordination services, behavioral health integration, focused on patient education and successfully bent the cost curve as compared to other commercial lives in the state in just two years of operations. With the introduction of MACRA, she took the lead as the Queen’s Health System expert and was selected to be a CMS Quality Payment Program Clinician Champion. Dr. Loengard has been on faculty with the Mount Sinai School of Medicine and the John A. Burns School of Medicine Departments of Geriatrics and has received numerous teaching awards. She was named Healthcare Association of Hawaii “Physician of the Year” for 2013. She lives in the Bay Area with her husband and two children.